Over Eight hundred years ago Chinese scholars, doctors, philosophers and martial artists acknowledged the impact that stress, physical inactivity and mental depression had on the body. As a result they developed an exercise system that would develop relaxation, breathing, fitness, health and a positive mental attitude. 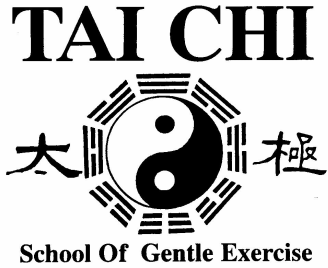 The exercise system that they developed is what we now call Tai Chi. After 800 years, Tai Chi is now accepted in the west as a alternative way to achieve health, relaxation & fitness. Tai Chi is an exercise which promotes and maintain health, fitness and relaxation through the use of deep breathing which is integrated with gentle flowing movements of the body. Tai Chi uses gravity in a way that promotes relaxation and a unique way of creating movement through the body with minimum use of muscle. ​In other words we let gravity do most of the hard work when generating movement and strength. Gravity can be a great servant, but a terrible master. The ancient Chinese believed that an exercise that only exercises the body and not the mind is only half an exercise. For an exercise to be complete it must encompass the mind as well as the body. The Taoist have a saying "The soft overcomes the hard" What they mean by that, is things that are soft can change and adapt things that are excessively hard and ridged can't . But in saying this, one can be excessively soft which is just as bad as being too hard. An example of this would be the public service (bureaucracy) as we all know from experience an excessive bureaucracy (excessive structure) nothing gets done. To little bureaucracy (not enough structure) nothing gets done. It is the balance between these two extremes that makes bureaucracy work. This concept can be applied to most things life such as Business, Government, Law, Human Movement and Ones Personal Life. They also believed that to stand up to the hardships and pressures of life, you must be mentally flexible to be able to yield and soften to absorbs these hardships we all in counter. Tai Chi teaches you effective mental relaxation techniques that enable one to remain in a relaxed state with a positive mental outlook and still face the pressure and hassles modern society places on us. Tai Chi as a physical exercise, with its unique gentle stretching movements, is truly in a field of its own. Tai Chi maintains relaxed muscles through movement enhancing a strong blood flow in to muscles helping in the oxygenation of the body. 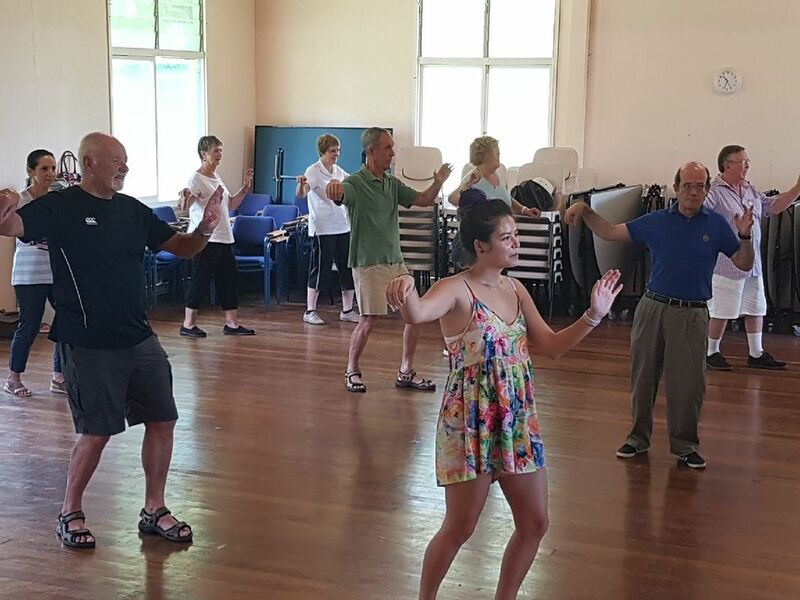 Tai Chi strongly emphasises deep diaphragmatic breathing making full use of the lung capacity, helping people who suffer from respiratory disorders. Tai Chi also works with the natural alignment of the body, allowing gravity to move through the body in an unimpaired way, creating movement through the correct use of joint alignment. Ninety three percent of injuries are caused by weight becoming trapped in various joints of the body causing injury and pain. Tai Chi is therefore ideal for people who want to learn how to prevent injuries or for those who are limited by the presence of old injuries.